Question: How do you know when you’re in love? Brad Pitt: Do you know how you tell real love? It's when someone else's interest trumps your own. I like to put it that way: trumps your own. Talking about love with friends. Love is a topic when you have talked to someone 4 –5 times; maybe more. Love is a strong emotion and people often listen closely and check to see if you feel the same or different from them. People see love as a core value. Brad Pitt uses a rhetorical question to answer the original question. Also, he re-frames the original question in another form but the topic idea remains the same. The form he uses has an authority style feeling to it. Do you know how to tell (=notice) you’re in real love? = I will teach you. This authority style speech gives him an aura of father, teacher, guru, expert, etc. However, it is common and doesn’t sound too strong for the listener in a rhetorical question form. You may also want to use this style to give yourself a moment to think of an appropriate answer. It's when someone else's interest 'trumps your own'. I like to put it that way: 'trumps your own'. He is using a strong expression style and then changes to a softer feeling. The change of tone expresses his passion and belief about love for his mate. His mate is number one and he will be number two for her because he truly loves her. 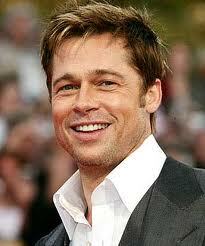 Brad Pitt comes across as a man with strong convictions about love. Brad achieves HIGH CLASS COMMUNICATION/English with only a few sentences. Do you know how to tell you’re in real love? It's when someone else's interest trumps your own. I like to put it that way: trumps your own. Do you know how to tell you’re in real love? It's when someone else's interest trumps your own. 1.Do you know how to tell you’re in real love? It's when two becomes one. 2.Do you know how to tell you’re in real love? It's when you can’t imagine life without the other person. 3.Do you know how to tell you’re in real love? It's when two becomes one. I like to put it that way: two becomes one. 4.Do you know how to tell you’re in real love? It's when you can’t imagine life without the other person. I like to put it that way: can’t imagine life without the other person. Also Find Out what Angelina Jolie feels about Long-term Relationships! Connect with Alex - Celebrity English! BRAD PITT’S LATEST MOVIE! "THE TREE OF LIFE"
My favourite actor! Great article!